FORT HOOD, TX — The U.S. and British Armies join forces in one of the world's largest multi-national communications training exercises, all for the purpose of working together in the field. 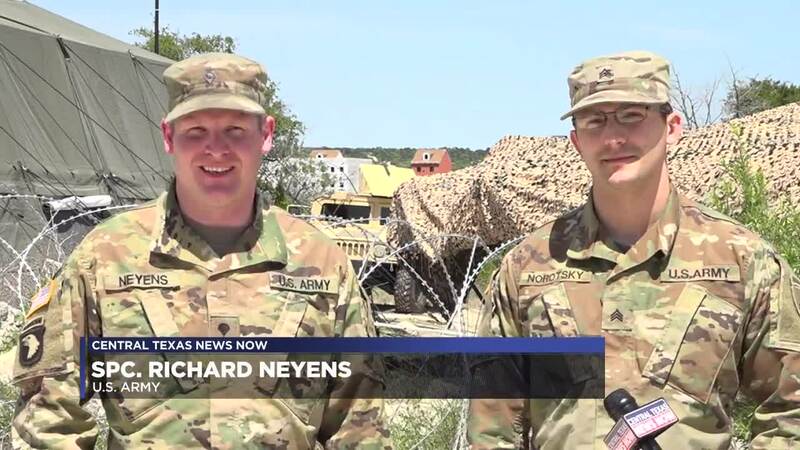 With a headquarter located on Fort Hood, they are coordinating their communications programs and protocols with teams located across the U.S. and Britain. The goal is to learn the differences between the allied forces and ensure that when the time comes, they can communicate properly and safely in battle. "It's a culmination of a year's worth of training. Growing on the lessons we’ve learned over the past 10, 20 years. They are being refined as every week and month goes by,” said British Army Major Tom Brown. They have thousands of soldiers from both countries participating in the exercise. Everyone that was asked said they are confident that they will have each other's back in the field. "These guys have the same goals as us, the same missions. They want the same things we do and it is fantastic to learn that,” said U.S. Army Sergeant Michael Norotsky. Both countries have been preparing for this exercise over the past year, and now they are finally in full swing. They said it helps to build upon the long history they have of working together.